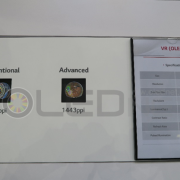 OLEDNET visited Light + Building 2016 (March 13-18) held in Frankfurt where LG Display unveiled product line up that can be used to diverse applications such as flexible solution, luminaires, mirror solution, module solution, OLED panel products, and transparent connection solution. During this exhibition, LGD demonstrated their well-deserved reputation as the world leading OLED lighting panel producer. 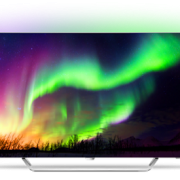 LGD presented diverse applications for OLED lighting that many people wanted to know. Although they were not directly displayed in the exhibition, the company showed photographs of OLED applied Korean traditional house hanok, as well as more commonly imagined uses such as cosmetic shop, office, show room, café, and restaurant. Speaking to the foreign press who attended the exhibition, Joon Park, LGD’s Head of OLED Lighting Sales & Marketing Division, explained that if world’s first Gen5 OLED lighting (1,000 mm x 1,200 mm) investment is carried out and mass production is carried out in H1 2017, additional cost reduction is possible in comparison to before the investment. Park added that the current OLED lighting places more importance to the user experience rather than profit. As organic food is receiving positive response within the market as premium products, OLED lighting will play the role of organic food within the lighting market.